Australians often think Greek is a foreign language written in a foreign alphabet. Yet they speak and write Greek every day without realising it. The English vocabulary is filled with words originating from the Greek language. Much can be said of the broad understanding of language and culture which can be gained through studying Greek. Greek is a very structured language, training the mind to observe details, recognise patterns and draw conclusions. As you study the etymology of a word, or meditate upon the significance of a preposition, you develop the power of the mind. Culture is embedded in language. How many words derived from Greek have you used today? Unfortunately, the Greek language is in decline among the Greek community in Australia, and every year fewer people speak and write it. The ‘Speak Greek in March’ campaign is a marketing tool aimed at stimulating interest in the need to retain our language. There is a very strong correlation between language and culture. Our identity and culture will weaken if our language continues to decline. As community organisations, we have focused more on building halls and offices for our organisations’ meetings and functions and ignored the retention of the Greek language. While we still have full and part-time schools which teach the language, we have not developed a long-term strategic plan to ensure that universities retain the teaching of Greek as an ongoing priority. Also, our advocacy to governments to fund the teaching of languages has weakened in recent years. The gradual substitution of the first generation leadership in our community organisations with subsequent generations will exacerbate adversely the retention of our language, as the youth understandably prefers to communicate in English. We need to organise a pan-Hellenic forum at which we should evaluate current trends and devise strategies to postpone what appears to be an irreversible trend away from our language. Representatives from Greek organisations, the church, Greek schools and other relevant bodies should attend this forum. Unfortunately our homeland, due to the current financial situation, but also because of the spread of the English language worldwide, is not as strong a supporter in relation to this issue as in previous years. There are more English words used by the Greek media in Greece than those used in our local Greek media in an English-speaking environment. Let us all unite to support the ‘Speak Greek In March’ campaign in its second year of operation. Our initiative has been embraced by other community languages in Australia and is supported by the government. More volunteers with expertise in language teaching are required by the organising committee. This is because this year an innovative approach has been developed, to ensure that interest in the campaign is renewed on a daily basis. A different theme will be introduced each day so that parents, grandparents, teachers and students will have something new to discuss each day. The themes vary from simple topics like the alphabet to history, dance, cooking, science and mythology. A new website is being developed as well as social media pages. 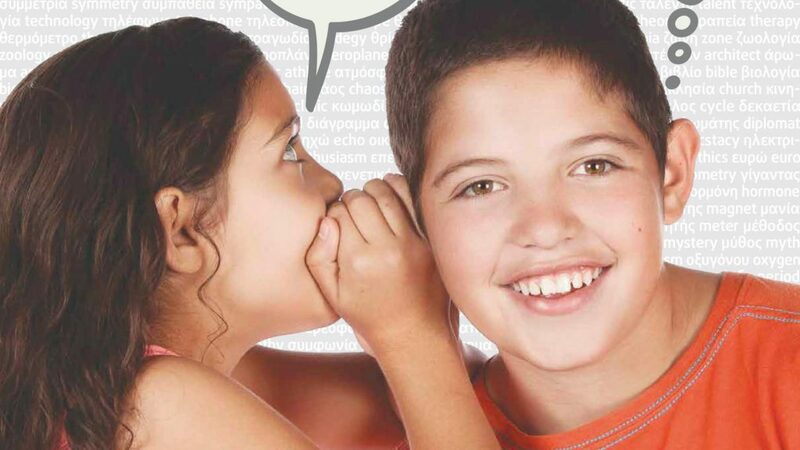 These themes will be introduced daily with resources and links for parents, students and the general community to encourage them to speak Greek to each other. This concept was developed by Christina Despoteris, a member of the Speak Greek in March committee. Christina has been involved with many community organisations over the years, and is currently vice president of the Lemnos Gallipoli Commemorative Committee and the Thessaloniki Association. She worked for the Victorian state government for many years. One of her roles was that of executive director of the Australia Day Committee. If you can assist, please contact Christina on christinad25@live.com or any other member of the committee.